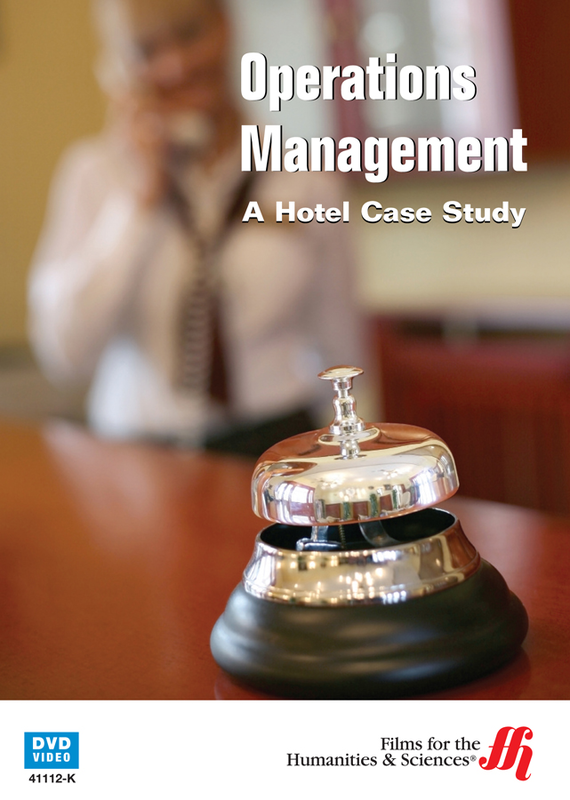 Improve hotel output and reduce vacancies with the management skills presented in this case study DVD. Focus your thoughts on the operations management at a major Australian Hotel. The DVD follows the hotel's general manager throughout a typical work day. You also get a sneak peak into the world of the food and beverage manager. A hotel highly depends upon the executive chef to provide superior service to its customers and you'll view a chef's contributions to a successful business. Also, gain an in-depth understanding of the executive housekeeper position and the housekeeping department's responsibilities as they turn input into output for a successful hotel experience. Discover how inputs such as furniture, linens, electricity, water and employees affect whether or not the output, a hotel room, is occupied. Hotels need to book their rooms, which is equivalent to selling a product. This DVD is beneficial for business owners and managers of all types as it shows you how to maximum productivity. The DVD also unveils the importance of hiring the right employees, having updated technology such as internet access and the value of listening to customer feedback. Businesses are also encouraged to be environmentally friendly and treat their employees with respect. All these processes work together to increase your profit, employee retention and customer base.